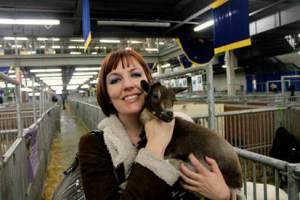 FAQ: What happens in a typical “Meet Laura” visit? 130 Years Ago Today: Almanzo Wilder’s Homestead Proof, 12 September 1884. Just How Cold Was It? Rachel McMillan and I met through social media. We’ve travelled in the same circles for a number of years, but didn’t physically meet until this past summer when I finally was like, “Dude, you write, I write. We like the same things. We should have food and drink together”–although I probably didn’t use “dude” but I’m sure she would approve. Just discovered this blog, courtesy of a share by my friend and Alcott scholar, Kristi Martin, who brought Amy Belding Brown to my attention with this link. Kristi and I both work in Concord and greatly admire what is known as Orchard House, the home built by the subject of this piece, John Hoar, and which would later be home to Louisa May Alcott as she penned Little Women. I love antique houses, women’s history, and stories of rebellious colonists of New England in the days before notions of antidisestablishmentarianism took hold. This one combines them all! About a decade ago, I worked for a few years at the Orchard House Museum in Concord, Massachusetts. 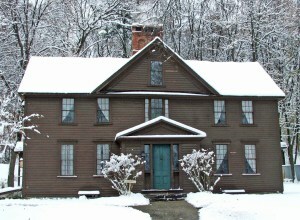 Best known as the home of Louisa May Alcott and the place where she wrote the classic novel, Little Women, the house has an impressive history of its own. When I was there the 300-year-old building, renovated by Bronson Alcott in the 1850’s, was in the midst of a massive preservation project, so I had the opportunity to see, up-close, some of the details of the colonial construction. Ever since, I’ve been fascinated not just by how historical houses are decorated, but how they’re constructed. "Who Wrote the Little House Books?" Happy Birthday Laura Ingalls Wilder!